Most car owners tend to take their car tires for granted. What they don’t realize is that the car tires have a direct impact on the overall performance of the vehicle. Plus, the fact that the tires are in direct contact with the road means they need proper care and maintenance. Regular wear and tear of the tires can affect your car’s acceleration, braking, road grip, and handling. 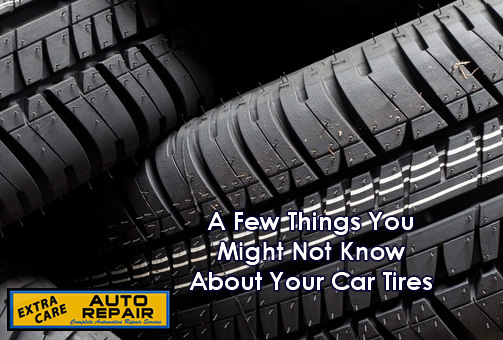 In order to care for your car tires, you need to know a few important pointers. When it comes to performance and fuel efficiency, tires play an important role. Skinnier tires produce less friction, and hence can reduce the fuel usage of your car. This is because the reduced friction places less pressure on the engine. On the other hand, wider tires enhance road grip, especially while turning corners at high speed. Since wider tires create more friction and a significant amount of rubber meets the ground, you benefit from improved handling. Nowadays, you can find different types of tires for different types of vehicle, terrains, seasons and even climates. Many car manufacturers now include an “antenna strip” in their tires. This “strip” is made from a conductive material, which provides a positive electric contact between the road and the tire. Therefore, you do not have to hang a “ground strap” from your car to maintain static electricity. Your car’s performance also depends on how much weight the car is towing. Reducing the weight can help improve performance. This is why even professional drivers try to cut weight where possible. The weight of the tires also matters in this regard. You can opt for lighter tires to reduce inertia, though it may result in less resistance. Modern tires are generally lighter, thanks to the new and improved materials that are used for manufacturing them. Most car owners are aware of the basic materials car tires are made from, including nylon, Kevlar, rubber and steel. However, you might not be familiar with various other compounds. These include citrus oil, titanium and cobalt. Tires made from these materials adjust to the temperature and are stiffer. Make sure you pay due attention to your car tires to enhance the performance of your vehicle.